Awakening her senses in the Botanical Garden, the weekend after "Fictional Worlds" was submitted for publication. Lily Alexander (L.A. Alexander), Ph.D., is a writer and scholar in narrative studies. Her publications on fictional world-building and on time-space in storytelling are available on the pages ABOUT and CHRONOS & TOPOS of this website. See MENU. She has worked in the theater and media industries since she was eighteen, and has earned degrees in drama, film, anthropology, and comparative cultural studies, with an emphasis on storytelling. Immensely helpful were the discussions on semiotics, symbolic studies, and modelling systems in several scholarly working groups and discursive communities from Los Angeles to Toronto. Lily has also written for the media and provided practical help to the authors in story and screenplay development (see page FOR WRITERS). A recipient of academic awards, Lily has been teaching on the East Coast, including at New York University and City University of New York since 2003. Her courses include screenwriting, film, literature, folklore, mythology, media, and communication for fifteen years. Her diverse experiences envelop traveling and studying narrative cultures in many countries; learning directing, and conducting research in the fields of symbolic anthropology, interactive storytelling, and international media. Lily is an author of Fictional Worlds: Traditions in Narrative & The Age of Visual Culture (2013), a volume that introduces an anthropological theory of narrative and explores the interactive ritual roots and structures of media genres. In addition to a print volume (four books under one cover), this work is available as the sets of Kindle books and iBooks (new editions are forthcoming). The project on fictional worlds and genres has grown from a doctoral thesis and a series of talks at MIT and the "Media in Transition" conference series, where the participants have greatly benefited from insightful and fruitful discussions. The very premise of the inspiring MIT forums, organized by Henry Jenkins, was based on the concern for the content of interactive media, and the hope that richly developed storyworlds (Hamlet on the Holodeck, as Janet Murray put it) would replace the trend of simplistic and violent videogames. Lily considers herself fortunate to be part of the working group on FWB, engaging with the colleagues who are enthusiastic about this interdisciplinary subject. Recent publications include articles on various aspects of fictional world-building and the possibilities of interactive media: "Mythology," "The Hero's Journey," and "Genres" in the collaborative volumes The Routledge Companion to Imaginary Worlds, and "Fictional World-Building as Ritual, Drama, and Medium" in Revisiting Imaginary Worlds (Routledge, 2017). These four articles take the ideas of the Fictional Worlds project in the new direction of the discussions on interactive storytelling, contributing to the two volumes' forum of authors and game designers (Mark J.P. Wolf, ed). See more on the published books on the amazon and iTunes pages of this site. If interested in the additional information about the author and the roots of the Fictional Worlds project, please read below. Lily Alexander's most enjoyable early experiences in the theater arts encompassed learning directing, story analysis and dramatic writing; helping actors to analyze a play; intently observing the gradual process of "trial and error" in shaping new stage productions (while resisting peer pressure to act). All of this led to her intense curiosity for "storyworld laws," and fascination with the ways parts come together to form a whole. Lily had the good fortune to participate in seminars and master classes taught by outstanding stage and film directors, as well as to sit in on their rehearsals and work on movie sets. Some of them implied that nothing fine-tunes a dramatic performance, even a tragedy, like a touch of farce: irony and laughter animate stories in unexpected ways. Such lessons learned have been invaluable, clarifying the functionality of dramatic elements and how every character, line, and action has its critical role in the story. After twelve years in media industries and graduate studies, Lily began teaching storytelling in academia in 1997, and has since enjoyed working with many talented students and writers. Among the courses she has taught are: comparative literature, comparative folklore, world mythology, 19th and 20th-century literature, Tolstoy and Dostoevsky, modern art movements, traditions in narrative, film genres, film directors - including courses on Eisenstein, Scorsese, and Hitchcock, world cinemas, film history and theory, media criticism, adaptation, theories of acting, story structure, screen violence, screenwriting, writing for the media, media industries, censorship, mass communication, media and society, documentary film, science fiction, the "antihero" in film and literature, and screen comedy. A course on time and space in screen narratives, for example, resulted in the paper on the chronotope in Fellini, Antonioni, and Tarkovsky. Nearly all parts of Fictional Worlds originated from the courses taught, and have been classroom tested. Storytelling patterns across cultures and time, as well as the traditions, paradigm shifts and innovation in the media are of great interest to the author of Fictional Worlds – a book project intended as a bridge between narrative theory, media studies and anthropology. Of the many transcultural and timeless stories, the Symbolic Journey, in all its variations, is central to Fictional Worlds. The key themes of this study encompass: theories and practices of fictional world-building; anthropological and behavioral theories of genres; and symbolic community-building as a never-ending social experimentation via storytelling. These seemingly complex topics unfold with ease through the exploration of narratives, which most of us have learned to love, including well-known fairytales, books and movies. The author's interest in the symbolic roots of storytelling has come from: her family's love of wise and witty parables, and reading; trips and fieldwork in folklore studies; enigmatic writings of the Structuralists and Sergei Eisenstein, who all preached the importance of mythopoetics for narrative studies and film; the whisperings of directors-friends that the secret meaning of theater is in ritual, as taught by the gurus Meyerhold, Artaud, Grotowski and Brook; years of research on Modernism for her master's thesis; and, later, by discovering symbolic anthropology and fascinating writings of its explorers and thinkers. Dr. Alexander has traveled extensively and given talks at universities in the United States, UK, France, Italy, Netherlands, Israel, Russia, Canada and Spain. She is currently affiliated with the City University of New York, and New York University. Among her invited lectures was "Confession of a Sinner," given at The Humanities Center of Harvard University in 2005. This lecture examined how art deals with the "villains" unable or unwilling to admit their guilt, and how writers and directors use unexpected and compelling devices to get the truth out of their sinful characters. Many great plays and films touch upon the themes of denial and suppression of shame, along with awakening conscience and remorse. Many enriching experiences of scholarly dialogues have been associated with international conferences, such as organized by Henry Jenkins and his team at MIT, where she presented her ideas on fictional worlds in several talks (i.e. "Where is the Auteur? Exotopia Revisited: The Author Inside, Outside and Inside Out," 2005); and Toronto biannual conferences on media studies, where Lily also presented several papers, including on laughter in 2000, titled "Tricksters, Ritual Fools and Upside-Down Worlds: Unconventional Wisdom in Media Culture." Dr. Alexander has taken part in organizing academic forums. Among her contributions was the international conference "Popular Culture: Foundations and Futures" at the University of Toronto in 1996, where she also gave a paper "The Ancestral – the Collective – The Birth-Giving Body: Bakhtin and Paradigms of Popular Culture"; and a paper "Representation of the Victims of Violence" at the panel on the Post 9/11 Media Culture, at the "Visible Evidence" conference at the University of Aix-Marseille in France, 2002. At the international conference, "Visible Evidence" in Amsterdam, Lily met another speaker and New Yorker, Diane Scheinman, an NYU graduate with similar interests in film and anthropology, and a researcher in documentary. 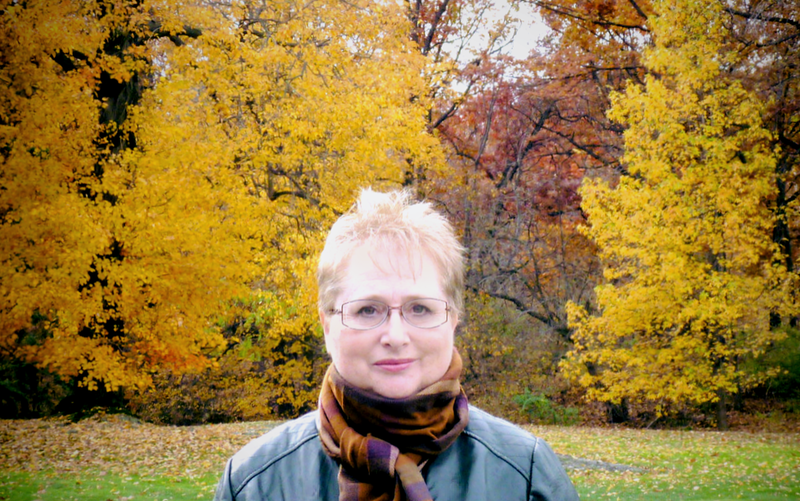 Diane became an editor of the Fictional World project and a coeditor of the Storytelling on Screen series. She has supported these creative endeavors with her passion for new knowledge, uncompromising demands for intellectual clarity, stamina (4 volumes and counting! ), and a great sense of humor. Lily Alexander is grateful to Diane Scheinman and to other supportive and inspiring figures, including the extraordinary Henry Jenkins (MIT/USC); the great Structuralist and semiotician V.V. Ivanov (UCLA); and an array of fascinating scholars and writers, too many to mention, whom she has met online, at conferences the world over, and in the New York academic community. Currently she is working on new books, which explore such topics as the wisdom of comic/dramatic reversals and story twists; the narrative/cultural functions of story villains and ethically-challenged controversial protagonists, and how the anthropology of consciousness can explain our love for magical realism. The new projects are designed to be published as both print and digital interactive formats, similar to the transmedia illustrated iBook The Symbolic Journey.